Well, damn. Just when I hauled one set of books, here comes another. Friday, it appears, I lost control with book hauling. No worries. All this was less than $7. 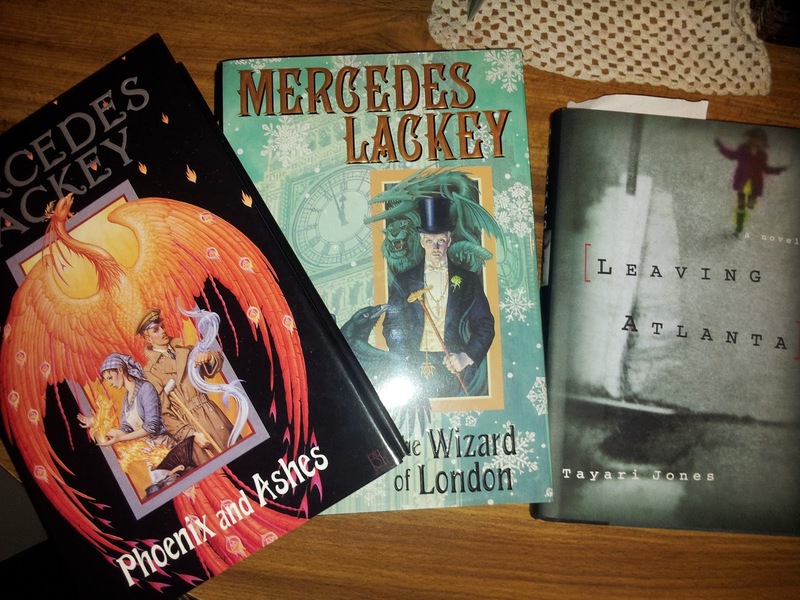 Since I’m suddenly on a “replenishing my love of fantasy” kick, I finagled my way to books #3 [Phoenix and Ashes] and #4 [The Wizard of London] in Mercedes Lackey’s Elemental Masters series. I bought them in the same place (public library used bookstore) for the same $1 price. Apiece. I figured why the hell not, before someone gets to them first. After all, I noticed book #5 had suddenly went missing after my previous visit. So I hurriedly grabbed these two. Tayari Jones’ Leaving Atlanta has been on my Amazon Wishlist since forever and a day. Now it’s in my possession! What drew me to this book was its setting/premise, and the subsequent series of child murders that took place during its period. From 1979-1981 at least 28 African-American adolescents (and adults) were murdered in the Atlanta area. I remember first hearing about this incident in the early 90’s, through one of those late night grainy serial killer documentaries. Having been an African-American child myself, I’ve always been frightened (terribly, I stress) of this story. But, to be super clear, I can only ponder into it so much. In the case of Leaving Atlanta, Tayari Jones takes readers into the minds of three fictional Atlanta fifth graders shut into this crisis. 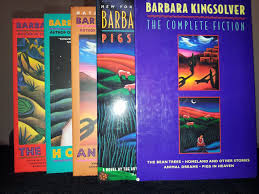 This lovely Barbara Kingsolver boxset was only $3. I passed it up the first time I saw it; telling myself if it’s there again, it’s mine. Now that’s so. While I’ve never read Kingsolver, she planted onto my radar back in the good ole Ethnics American Literature class days. It was there I was introduced to Sherman Alexie and Leslie Marmon Silko and, adjacently, Barbara Kingsolver. The connection? Stories woven with Native American characters, traditions, cultures, etc. 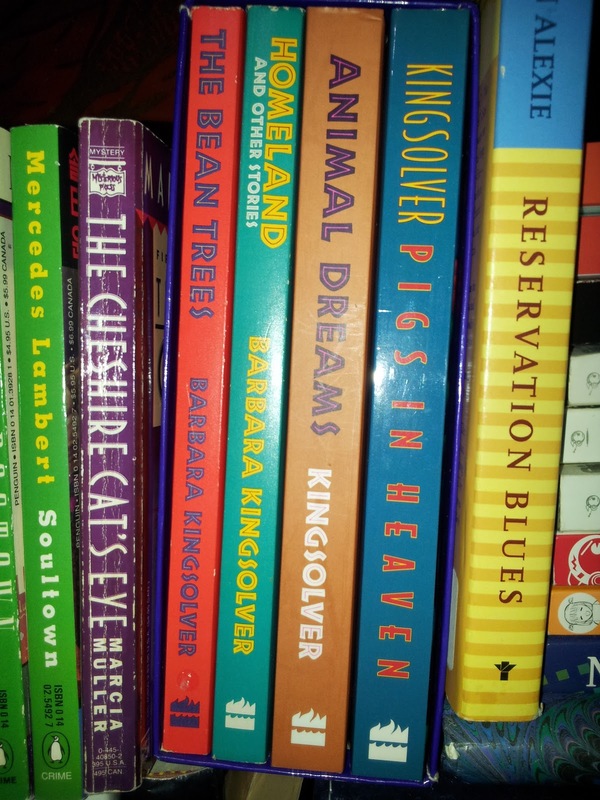 Though it’s been a hot minute since I last read an Alexie or Silko, I now have four Kingsolver titles to picked up the slack. And I’ll leave this post at that. 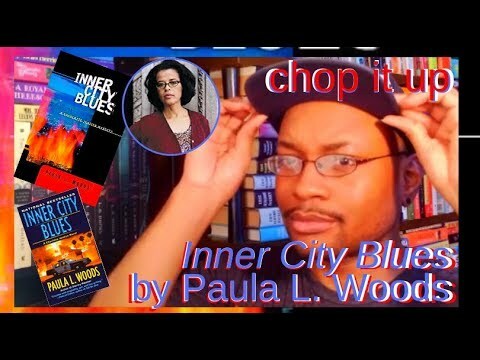 Read any of these authors? If so, tell me what I’m getting myself into below! Library Reserves Came Through. Too Soon, Though?